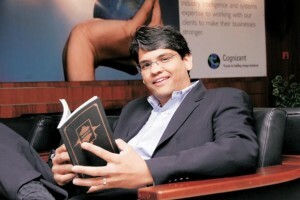 8 Indian Origin CEOs Abroad, Ruling the World! 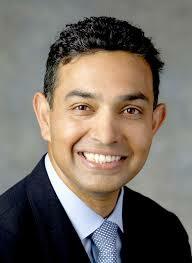 Home Business 8 Indian Origin CEOs Abroad, Ruling the World! Indians are known as the best brains on Earth. For decades Indians have been earning respect across the globe in almost all departments of it, be it science, technology or innovation, business analytics, sports or others. Here’s a list of 8 INDIA BORN magnifies who have made it big in the world of business with top jobs abroad. 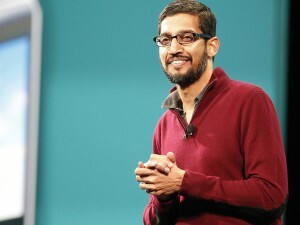 The 43 year old bespectacled, bearded, Sundar Pichai after being previously appointed as the Product Chief by the current CEO Larry Page on October 24, 2014 has now been announced as the next CEO of Google on August 10, 2015. Mr. Pichai will be stepping into a new position in the wake of completion of the formation of Alphabet Inc., the new holding company for the Google family. Mr. Pichai pursued his engineering from IIT, Kharagpur, then did his masters from Stanford, and later MBA from the Wharton School of Business. Pichai has been with Google since 2004. He joined to lead product management for Google Chrome and Chrome OS. He was involved with Google Drive along with overseeing Gmail and Google Maps, as well. “Our industry does not respect tradition- it only respects innovation”- Satya Nadella , the Chief Executive Officer of Microsoft held leadership roles in both consumer business and enterprise across the company. 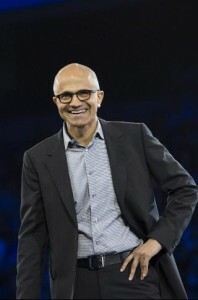 After joining Microsoft in 1992, Nadella quickly became known within the company as a leader who could span a breadth of technologies and businesses to transform some of Microsoft’s biggest product offerings. Mr. Satya Nadella has brought a relentless drive for innovation and a spirit of collaboration to the role. Indra Krishnamurthy Nooyi, the current Chairperson and Chief Executive Officer of PepsiCo, the second largest food and beverage business in the world by net revenue of more than $43 billion. Mrs. Nooyi has consistently ranked among the World’s 100 Most Powerful Women. Moreover, In 2014, she was ranked 13 in the list of Forbes World’s 100 most powerful women. Along with being a member of the PepsiCo board of directors, Mrs. Nooyi serves as a member of the boards of the International Rescue Committee, Catalyst and Lincoln Center for the Performing Arts. She currently serves as the Chairperson of the U.S.- India Business Council. 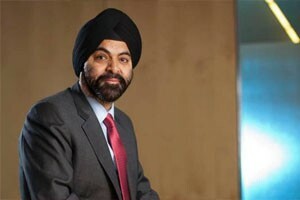 Ajaypal Singh Banga became the President and CEO of MasterCard on April 12, 2010. He is a graduate with a Bachelor of Arts (Honours) degree in Economics from St. Stephen’s College, Delhi University, and subsequently also acquired an MBA from the Indian Institute of Management, Ahmedabad. He has keen interest in social development issues and was ranked as the fourth “Most Powerful Indian” in the world by ‘The Economic Times of India’. An engineering student in electronics passed out from Osmania University, completed his MBA from University of California, Berkely and Master in Computer Science from Bowling Green State University, Ohio. 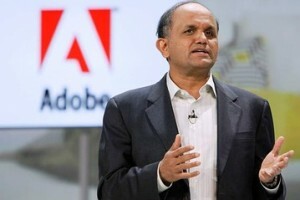 Shantanu was appointed the CEO of one of the top photo editing software company Adobe in 2007. Shantanu started his career from Apple and joined Adobe in 1998 as a senior Vice-President of worldwide product research and later became the CEO in January 2005. GLOBALFOUNDRIES is the world’s first full-service semiconductor foundry leading by Sanjay Jha as Chief Executive Officer since January 2014. He holds a Ph.D. in Electronic and Electrical Engineering from Strathclyde University, Scotland and a Bachelor of Science in Engineering from University of Liverpool, England (Yeah! One needs to be this qualified to be a CEO). He held multiple senior engineering and executive positions during his 14 years with Qualcomm, lead design engineering roles with Brooktree Corporation in San Diego, and GEC Hirst Research Centre in London and finally ended up with GlobalFoundaries as its CEO. Francisco D’Souza is ranked among the youngest chief executive officers in the department of software services. Due to him the company is in the list of Fortune 500, the Forbes Global 2000 and one of Forbes Fastest Growing Tech Companies. He obtained his Bachelor’s degree in Business Administration from the University of East Asia and his MBA from Carnegie-Mellon University. . He serves on the Board of Trustees of Carnegie Mellon University, the Board of Trustees of The New York Hall of Science and the Board of Trustees of the US India Business Council. He is a member of the World Economic Forum, the Business Round Table and the Science Visiting Council for the acclaimed PBS science program, NOVA. 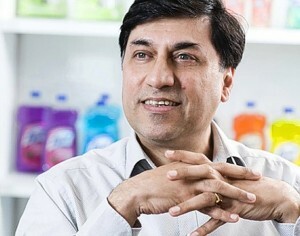 Rakesh Kapoor is the head of British consumer goods company Reckitt Benckiser Group (RB.L), a multinational consumer goods company producer of healthy, hygienic home products since September 2011. He was educated at Modern School, New Delhi, has a BE (Hons) in Chemical Engineering from the Birla Institute of Technology and Science (BITS), Pilani, and an MBA from XLRI- Xavier School of Management, Jamshedpur, India. He performed various roles in the company including: Regional Sales Manager, North India; General Manager, Indian Southern Region; and Regional Marketing Director, South Asia and finally became the CEO of the company. 10 facts about Make In India! Google launches “Duo”, a New app for Video calling.